World No. 1 Magnus Carlsen video first published on November 21, 2012: Twenty-one-year-old Magnus Carlsen is travelling across America to inspire students to play the game and develop the skills necessary to make them successful in the science, math, and technology fields. He stopped in Silicon Valley to chat with SVB Managing Partner Aaron Gershenberg, about what the game has taught him. Play the funny chess video below and enjoy your day. 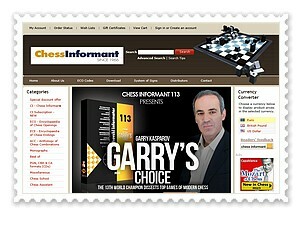 A DVD flies out of a computer and disturbs a game between two chess Grandmasters. A presentation of the Just For Laughs Gags. Must-Watch Carlsen Chess Video: I have a Lot to Learn! 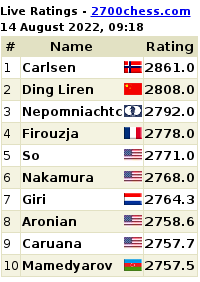 On Saturday, December 8th Magnus Carlsen broke Garry Kasparov's chess rating record of 2851.By drawing with Hikaru Nakamura at the London Chess Classic, the Norwegian player will be certain of an Elo of at least 2856 on the January 1 FIDE rating list. Here is a must-watch video produced by ChessVibes in which Carlsen talks about the game and about breaking the record. In less than 24 hours of being posted, a chess video of 12th World Chess Champion Alexandra Kosteniuk against China's No. 1 player Wang Hao has gone viral on the Internet. The video shows the confident looking Chinese #1 Super Grandmaster Wang Hao blundering against an opponent ranked close to 300 elo points below him, and the brutal shock he gets with the checkmating of his king. The moves are in extreme slow-motion, and you can imagine the thought process that went into the Chinese GM’s mind when he was holding on to his knight on f5. Don't forget to click “Thumbs Up” or “Like” if you appreciate the video and would like more chess videos by Chess Queen Alexandra Kosteniuk. Some more “classic” chess videos you must watch: Anand, Aronian, Carlsen, Judit Polgar. Chess Queen Alexandra Kosteniuk has also just been featured in the special Vogue issue of the USA. The special feature in fashion magazine VOGUE, USA Edition, in the August 2012 issue, which hits newsstands on July 24, 2012. It is called the “Vogue Age Issue“, and it puts six very different women, ages 28 to 89, in the spotlight. 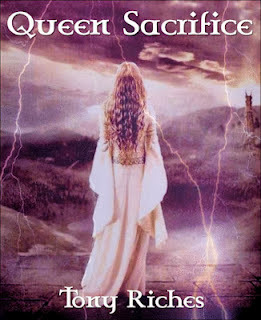 One of them is Chess Queen™ Alexandra Kosteniuk. She has been featured to show why chess is a cool game and how she promotes chess around the world! From the chess champion to the recent widow to the last surviving child of Winston Churchill, each one of the featured women has a fascinating story to tell. For a complete profile of the beautiful and intelligent 12 world chess champion Alexandra Kosteniuk, check her personal blog site ChessQueen.com. Kosteniuk is credited for being the most Internet-active and Internet-savvy chess Grandmaster who has singlehandedly done much to promote chess and give the sport a makeover with her twitter accounts, chess blogs and sites. She has brought a wave of glamour and style to women's chess unthought of before. Kosteniuk is also the most Facebook-active former world chess champion taking out several hours on a daily basis to reply to fans' letters, emails and messages. 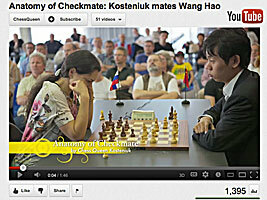 Her YouTube channels have thousands of videos on chess training, chess puzzles, chess events, etc. for chess lovers and learners to improve chess - all for free! You might also like to read why Kosteniuk was once 'held' at a US airport security check! Bollywood movie 'New York' was released on June 26, 2009 and had a super chess scene. The movie was in the drama/thriller genre starring John Abraham, Katrina Kaif, Neil Nitin Mukesh, Irrfan with lyrics by Sandeep Shrivastava. The music was by Pritam and story by Aditya Chopra. Kabir Khan directed the movie. 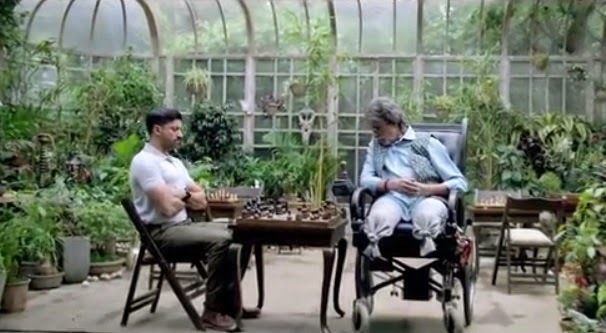 Omar (Neil Nitin Mukesh) and Sam (John Abraham) meet over a chess board as Maya (Katrina Kaif) looks on. The chess board becomes the starting point for the friendship between the three as they discover America and how 9/11 changes their life. Tal Chess Video - Carlsen, Nepomniachtchi Ignoring Pretty Girls? Here is a video from the 7th Mikhail Tal Chess Memorial that began in Moscow on June 7. The event had a unique method of drawing lots for deciding pairings for the first round. A special blitz chess event was held to decide the first-round pairings. Alexander Morozevich won the blitz event on tiebreak ahead of Magnus Carlsen. Here is a video of the first day by Eugene Potemkin. Do you think chess stars Magnus Carlsen and Ian Nepomniachtchi ignored the pretty girls?